While I (Ellen) was away in the U.S.A., not much happened in regards to building our house, which is a huge disappointment. We were hoping that it would be well underway by now. Our building contractor did as much work as he could without the permit. 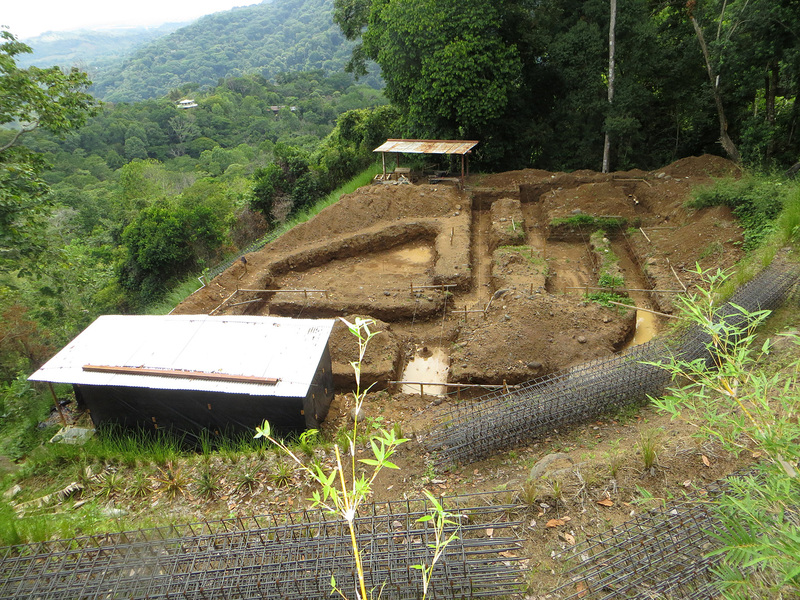 This included erecting the small “house” on-site where the workers will spend the night, digging the foundation and building the re-bar cages that go into the concrete footers and columns. Our permit paperwork seemed to be stuck with Setena (read the previous post). We were kept waiting and waiting for four months without much of an explanation. Shortly before I returned to Costa Rica (only two weeks ago), Eddie received word that our request for the Setena permit was denied. What do we do now? Our building contractor suggested that we hire someone to facilitate getting our permit through the system and approved. Our contractor has a good friend who has helped several of his clients obtain the permits they need in a timely manner. Eddie figured that we should give the guy a try as we are running out of time to begin our project. The rainy season has started and we need to get the gray work (concrete) done and a roof on before the heaviest rains in September and October. Overall, it will take about eight months to construct the house. Eddie and our contractor met with the facilitator and gave him all of the paperwork that was submitted to Setena. The facilitator felt that he could get the permits within 30 days. Instead of going to Setena and asking for an explanation, the facilitator decided to start with our municipality. Within a couple of days, the facilitator called Eddie and told him the municipality said that we don’t need the Setena permit after all…WTF! The municipality told him that since our project is under 500m2, we don’t need that extra permit. Our architect told us that the extra permit is required if you are over 300m2 and so he submitted the application. Evidently, two years ago, the Setena regulations changed from 300m2 to 500m2. Our architect should have known about this change as it’s part of his job. Needless to say, we aren’t too pleased with him right now. He wasted a lot of much needed time and money. Since we don’t need Setena, the facilitator told us that he should be able to obtain the building permit from the municipality in about 15 days or so. Later this afternoon, the facilitator called with some good news. He thinks the permit will be ready by the end of this week. Let’s hope he’s right! As soon as we have the permit in our hands, the building will commence immediately and we will be blogging about it, that’s for sure. Stay tuned! 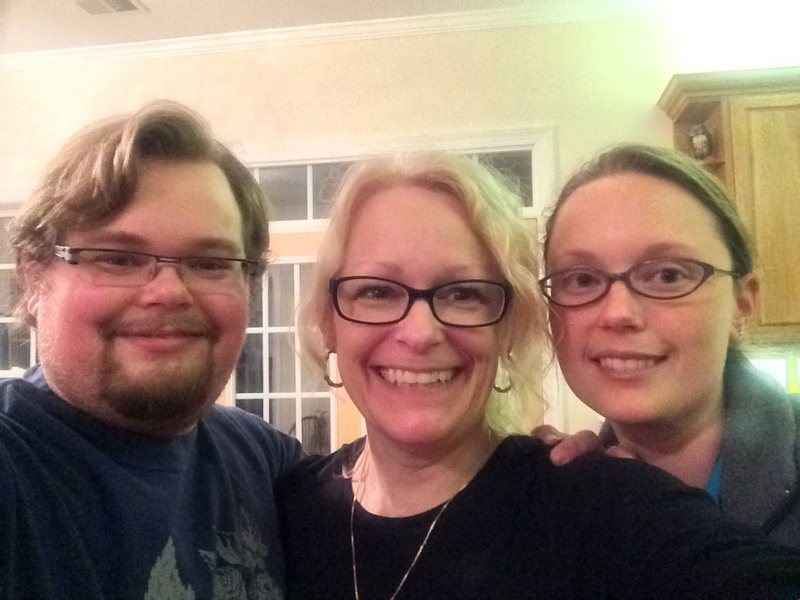 A selfie with our kids, Erik and Jane. ← Are We Building Yet? keeping my fingers crossed for u! !